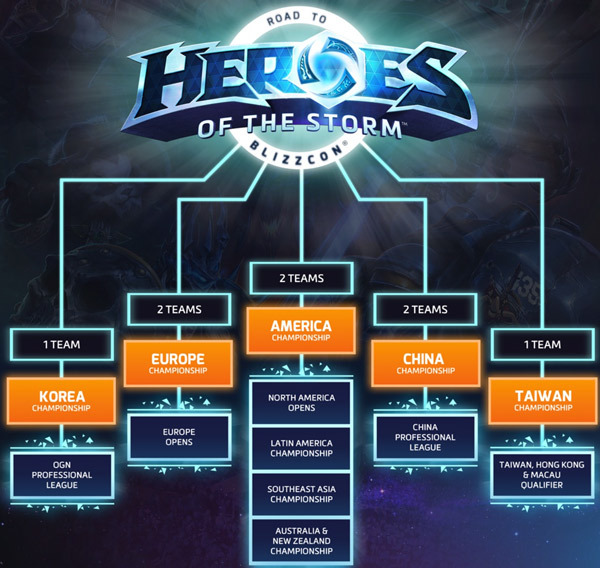 The 2015 HWC series of tournaments will culminate into the Heroes of the Storm World Championship. Blizzard has added Heroes of the Storm into the BlizzCon tournament line-up. Heroes of the Storm will be featured in BlizzCon along with Starcraft II, World of Warcraft and Hearthstone. HWC 2015 will feature a $ 500,000 pool of cash and prizes, which will certainly pique the interest of the world’s top teams. The tournament will be held at the Anaheim Convention Center in Anaheim, California, with the top team taking home a prize of approximately $200,000. The detailed schedule of the Heroes of the Storm World Championship 2015 Finals at Blizzcon is not available at the moment. Take a look at the 2015 BlizzCon eSports schedule. No teams will be eliminated at the Group Stage (Opening Week). The Heroes of the Storm (HOTS) World Championship will feature the champion teams from these five regions. 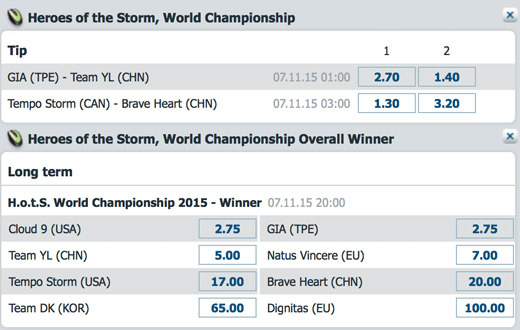 More Information on HOTS-HWC 2015 betting will be available soon. It is expected that most of the major esports betting sites will offer odds and bets. For more general info about HOTS betting click here.